Click Here to read the rest of our coverage from the ATX Television Festival. One of the big sponsors at the Austin Television Festival this year was Roku, and with good reason. The streaming company has been making larger and larger strides in the TV market, moving from a simple streaming player to manufacturing smart TV components. 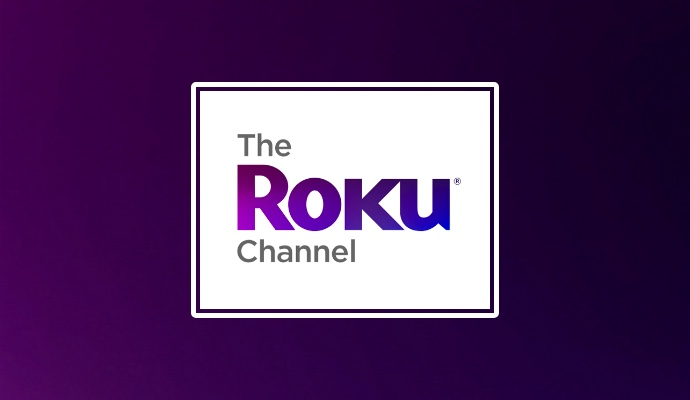 You’d be hard pressed to find a stauncher supporter of the TV industry — Roku’s mission is to make sure everyone has access to whatever content they want, and as such has a vested interest in any and all upcoming content they can promote and distribute. I got a chance to sit down with Abby Reyes, who works in the communications department at Roku. Tell me a little about what you do at Roku. I work on the communications side at Roku. I focus on PR, and doing events like the ATX TV festival. It’s our second year participating in the festival, and, quite frankly, we love it! It celebrates TV, we love TV, so, we’re here. I have to say, I’m a big fan of Roku. I’ve owned one since 2013, and it still works great. Honestly, tons of people tell me that. They have their vintage Rokus that still work, and we think that’s amazing. We’ve been in the streaming business for a while, and in fact we’re celebrating 10 years of streaming this year, which is crazy! That’s why this festival is really cool, to see how people are watching television. Rob Holmes, our VP of programming and engagement, did a panel at the festival called, “Un-Cabled: Repackaging TV for a New Generation,” on how the industry is changing, how the landscape is changing, and suffice it to say, we live in an interesting time. It’s interesting too, the way you guys have made the news in different ways. When Roku started 10 years ago, streaming was at the forefront of everything. Now, we kind of take it for granted. At the same time, there are multiple articles on Forbes and Variety talking about, “watch Roku’s stock right now,” “they’re about to do something big,” so on and so forth. What can you attribute to the company’s recent success? The company is of a mindset that all TV will be streamed, and we are every day working towards that goal. Most people know us for our streaming players, but we also have a booming television business. We work with many manufacturers, licensing our operating system for their TV sets. We announced at earnings recently that one in four smart TVs on the market today are Roku TVs. It’s a good time to be Roku! You guys are in the business on the hardware side, rather than the content generation side. Netflix, Hulu and Amazon have to keep churning content out for the bingers, who will eat it up faster than they can make it. But Roku has decidedly gone the other direction, making the statement that ‘we’re not going to make content, we’re going to give you access to every other piece of content you could ever want’. The great thing about Roku is that every kind of content you could possibly imagine is probably available on our platform. We have about 5,000 channels, which is kind of incredible, but it can be also really difficult to navigate. One thing we’ve seen is that cord-cutters are looking for value. Last year, we launched the Roku channel, so we could add value to the streaming experience. We know viewers probably have a Netflix or Hulu account, but the Roku channel gives them a way to experience the content that already lives on Roku, without having to dig for it. It’s a combination of content that we get from partners, that we get for free or are ad-supported on the platform, as well as content we license, that we think you’ll find interesting. At Roku, we’re just looking for ways to add value to your entertainment experience. We want things to be easy for you, we’re focused on simplicity. That’s the mantra we’ve had from the very beginning. Talk to me a little bit more about finding these content providers. You’ve built up to 5,000 channels on Roku. What does it take for something to become a channel, what does that process look like? It’s actually quite an easy process. We have a feature called Roku Direct Publisher. If you have a feed, essentially, we have a template that allows you to create your own channel. If you have a bunch of YouTube videos or content that lives on your computer, you can create a channel in a few clicks. When we first announced the Roku Direct Publisher program, it was pretty exciting. You can create a channel in ten minutes? There’s folks like Buzzfeed who we’ve worked with on the side and they’ve created their channels through Direct Publisher. It’s relatively simple, and in today’s climate where people are constantly creating content, there are just so many ways people can share with folks like us. Moving to that direct publishing side, this almost puts Roku on par with platforms like YouTube, where anyone can post or host any videos. But with adding channels like Kanopy, a documentary and international film platform, Roku creates more of an education space. We talk a lot about the entertainment side at festivals like ATX, but the nonprofit side, the educational space Roku can support is so valuable. I was talking to someone recently who subscribes to a channel called Great Courses Plus. It’s video content from college lectures, that you can experience through Roku. It’s a great activation for us to have available on the platform. Having access to that educational content is really cool. What about the live streaming side of Roku? I know it’s a big thing that’s come up, whether it’s technical complaints or whatever. Is live something you want to develop more? Live content and sports are the questions that we get the most. Good news is, more and more of our content partners are embracing live! Whether it’s the super bowl or live news, it’s growing. Partners like ABC and Cheddar are adding this content right now. It’s definitely something that you can expect to see more of. There are so many channels on Roku. What are some channels that you wish people knew more about? I know we already mentioned the Roku channel we launched last year, but I really think people should check it out. There’s not really a commitment – no subscriptions, no logins, just access to great, free, ad-supported content. I’d encourage anyone who’s got a Roku to check it out, see what’s there. Anything we should keep an eye out for, anything big on the horizon for Roku? Keep looking out for good content!